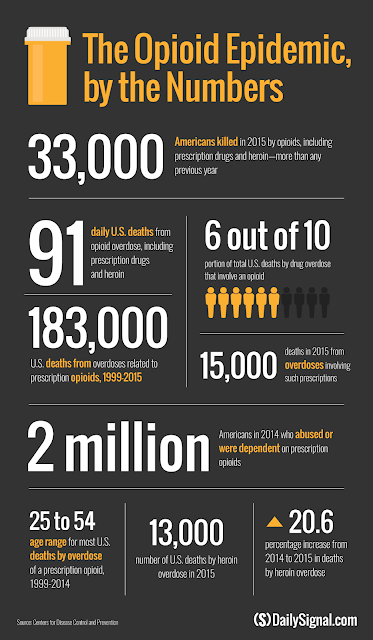 ADDICTS USING GASTROPARESIS IN ORDER TO ABUSE PRESCRIPTION DRUGS. I have heard story after story from people with chronic pain, invisible illnesses, and issues that illustrate why it is terrible for healthcare professionals to make snap judgments. They treat chronically ill patients as drug seekers. It can be life threatening if healthcare professionals just write someone off as a drug seeker without evaluating them. 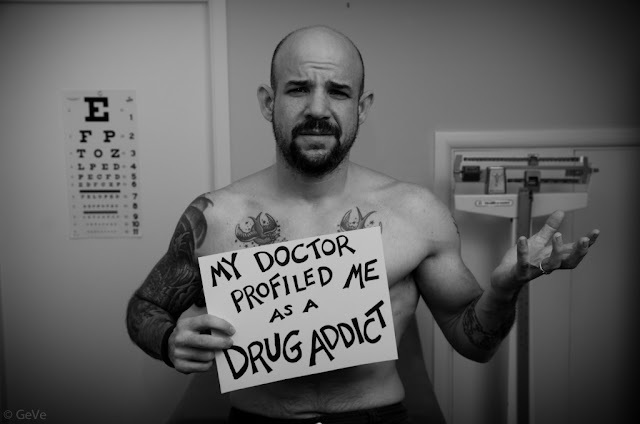 I just want to ask the doctors, "do drug addicts not have medical emergencies, too?" Patient profiling has become a REALLY big problem in our healthcare system, as has the "opioid epidemic." INVISIBLE EMERGENCIES SERIES PART THREE. "Patient profiling is the practice of regarding particular patients as more likely to have certain behaviors or illnesses based on their appearance, race, gender, financial status, or other observable characteristics. Profiling disproportionately impacts patients with chronic pain, mental illness, the uninsured, and patients of color. Like racial profiling by police, patient profiling by physicians is more common than you think. We rely on doctors to first do no harm–to safeguard our health–but profiling patients often leads to improper medical care, and distrust of physicians and the health care system, with potential lifelong consequences." Can You Sue A Doctor For Patient Profiling? 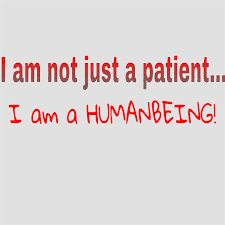 Patient profiling is a term used to describe a kind of discrimination by doctors. When a healthcare provider treats a patient based on their "type" rather than assessing them individually, that is profiling, and it can lead to problems in treatment. Doctors should assess each patient individually, but profiling alone is not likely going to be a basis for a lawsuit against a doctor or hospital, unless that profiling manifested in medical malpractice. So let's explore the distinction between profiling, which is certainly unpleasant, and negligence law, which is based on actual injury. Dr. Pamela Wible, writing for Med Page Today's blog, Kevin MD, discusses and defines patient profiling. She explains, "Patient profiling is the practice of regarding particular patients as more likely to have certain behaviors or illnesses based on their appearance, race, gender, financial status, or other observable characteristics." "Profiling disproportionately impacts patients with chronic pain, mental illness, the uninsured, and patients of color. Like racial profiling by police, patient profiling by physicians is more common than you think," Dr. Wible writes. "Profiling patients often leads to improper medical care." If any of these are the cause of an injury to the patient and it can be proven that the doctor's failures led to it, and that there were no unforeseeable intervening causes, then you have proven part of a claim. You must also show and that this harm can be compensated. Now, if a doctor's negligence arose as a result of patient profiling, and you were harmed then the doctor's profiling, to the extent it can be shown, will help prove your malpractice claim. But profiling and negligence are not the same and one does not necessarily lead to the other, although it may be a strong sign that malpractice will arise if you are profiled as a patient. If you were treated poorly by a medical professional and were injured as a result, speak to a lawyer. Many personal injury attorneys consult for free or a minimal fee and will be happy to assess your claim." "We all tend to trust our doctors. After all, they’re the experts. Even though we have some of the best doctors in the world, even they can make a mistake. And these mistakes can be a lack of treatment or the wrong treatment. These can be confusing concepts, so here is a brief overview on failed or erroneous diagnoses and treatments in medical malpractice cases. In most cases, if a delay or failure to diagnose a disease has resulted in injury or disease progression above and beyond that which would have resulted from a timely diagnosis, medical professionals could be held liable. Most doctors are trained to think and act by establishing a "differential diagnosis." Doing so calls for a doctor to list, in descending order of probability, his or her impressions or "differing" diagnoses of possible causes for a patient's presenting symptoms. The key question in assessing a misdiagnosis for malpractice is to ask what diagnoses a reasonably prudent doctor, under similar circumstances, would have considered as potential causes for the patient's symptoms. If a doctor failed to consider the patient's true diagnosis on his/her differential diagnosis list, or listed it but failed to rule it out with additional tests or criteria, then the doctor is likely able to be sued for medical malpractice. However, this situation may be difficult to prove. For example, a patient may allege that a doctor failed to timely diagnose a certain cancer, resulting in "metastasis" (spread of the cancer to other organs or tissues). But experts may testify that "micrometastasis" (spreading of the disease at the cellular level) may occur as much as ten years before a first tumor has been diagnosed, and cancerous cells may have already traveled in the bloodstream and lodged elsewhere, eventually to grow into new tumors. Therefore, it may be difficult in some cases to establish that a patient has suffered a worse prognosis because of the failure or delay in diagnosis. If a patient is treated for a disease or condition that he or she does not have, the treatment or medication itself may cause harm to the patient. This is in addition to the harm caused by the actual condition continuing untreated. The most common way in which doctors are negligent by failing to treat a medical condition is when they "dismiss" the presenting symptoms as temporary, minor, or otherwise not worthy of treatment. This situation may result in a worsening of the underlying condition or injury, causing further harm or injury. For example only, an undiagnosed splinter or chip in a broken bone may result in the lodging of a piece of bone in soft tissue or internal bleeding caused by the sharp edge of the splintered bone. Erroneous treatment is most likely to occur as a result of a misdiagnosis. However, a doctor who has correctly diagnosed a disease or condition may nonetheless fail to properly treat it. Other times, negligence is the result of a doctor attempting a "novel" treatment that fails, when in fact a more conventional treatment would have been successful. Having an illness or injury is bad enough, without thinking our doctors made it worse. And it’s not always easy to know whether the professionals in charge of your medical care acted properly. If you would like to know more about your claim, you can contact an experienced medical malpractice attorney. When illness or injury forces you to see a physician or go to the hospital, you can generally be assured that a medical professional's years of experience and training will result in excellent treatment. But in truth, medical care providers are only human, and errors are always possible. Medical malpractice occurs when a negligent act or omission by a doctor or other medical professional results in damage or harm to a patient. To get started with a medical malpractice case, read First Steps in a Medical Malpractice Claim. See FindLaw's Medical Malpractice section for more articles and resources. Due in part to the power and resources of health care industry lobbyists, many states have passed legislation making it more difficult to bring and prevail in medical malpractice actions. In most states today, physicians and hospitals are protected by legal limits, called "caps," on the amount of damages and attorneys' fees that can be awarded in malpractice suits. Also, most states have a two-year time limit for filing malpractice actions, unless extraordinary circumstances affect the case. It's not always easy to know how to pursue a medical malpractice case. A qualified medical malpractice attorney will be able to discuss the strengths and weaknesses of your case and help you get the compensation you deserve. A good first step is to contact a medical malpractice attorney." "Have you ever heard of patient profiling? It takes place when medical–and mental health–professionals make an assumption about someone seeking care based on their appearance, race, gender, financial status or even the kind of illness they have, such as mental health or substance use problems. The first time I came across this was in an article written by Pamela Wible, MD (article below at the end of this article), who recounted patient stories where the personal judgment of a medical person resulted in poorer care. She worried that, similar to racial profiling by police, patient profiling is more common than we want to admit. And it undermines care. This doesn’t just happen in emergency rooms. It happens with medical specialists who think that mental health concerns have caused medical symptoms. It happens when doctors call parents 'enmeshed' or 'co-dependent' and don’t see them as a resource and partner but instead as part of the problem. It happens when young people are seen as their diagnosis and not as a valuable self-reporter and critical thinker. When a child is in crisis or when her need for care is urgent, parents are rarely at their best. Most often, there have been many stressful days or weeks before this point which have worn them down. We rely on medical staff to see beyond the diagnosis to the whole child, teen or young adult. We trust them to see our commitment and strength in the midst of the frenzy. We hope they will see us as a key member of the team, not as a 'less than' parent to be held at arm’s length. When this doesn’t happen due to patient profiling, we all lose." "Medical jargon is pretty impossible for most patients to follow, but some of the terms you hear your doctor use may just be insulting industry jargon. 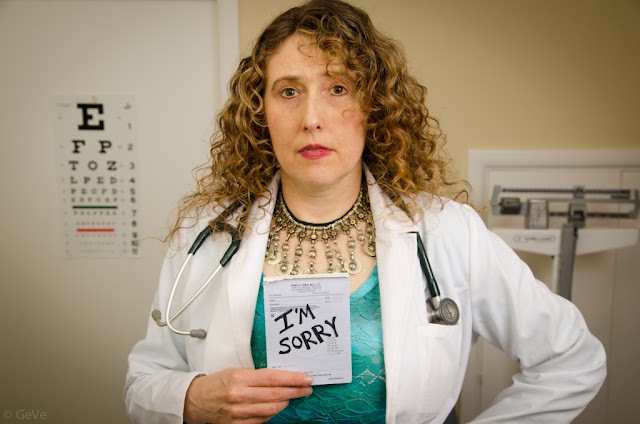 Over decades, doctors have ad-libbed a whole vocabulary to encode their frustrations with problem patients, communicate grim status updates, or even gossip about children. In medicine, this slang is more than harmless insider-jargon: studies have shown that doctors' attitudes and discrimination toward patients can have a real affect on the treatment they receive and how well they recover. Medical schools have begun to recruit more diverse students in the hopes of changing the field's culture, but several young doctors who wished to remain anonymous told Daily Mail Online that discriminatory terms are still common. But discrimination is institutionalized and dangerous in medicine, according to Dr Peter Muennig and Dr Alex Green of Harvard University and Massachusetts General Hospital, and it's worth knowing some of these terms that doctors may use to mask the severity of a situation or downright insult you (warning: some of these are offensive). This 'classic' term stands for 'get [them] out of my emergency room.' It has been used in hospitals for decades and is familiar to just about every doctor working, Dr Muennig says. The acronym is a sort of catch-all term for any of the kinds of patients doctors don't want to deal with. 'There's a certain level of discrimination against the chronically ill, and that's where GOMER comes from,' says Dr Muennig. In a recent interview with Daily Mail Online, he also said that this term is often used particularly to describe people who physicians suspect are hunting for pain medication. Patients may return to the hospital week after week - or even day after day - for a variety of legitimate or illegitimate reasons, earning them the title 'frequent fliers,' but certainly no points from doctors. Chronically ill patients with conditions like diabetes must make regular appointments for dialysis. Other patients become common faces in emergency rooms and clinics because of their hypochondriacs tendencies, constantly sure that they are gravely ill. 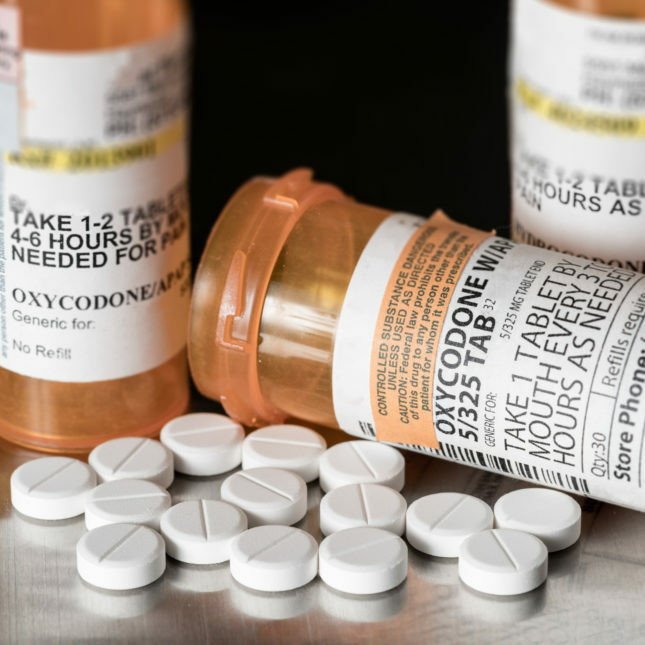 Still other patients may just be looking for a drug fix, coming in with complaints of chronic pain, or in hopes that the physicians on shift will be more willing to prescribe than yesterday's were. 'It's most often used to talk about people with severe diseases like diabetes, or renal failure and diabetes,' says Dr Muennig. Doctors use this cruel acronym for 'funny looking kid' to describe 'those babies who are "syndromic" or [we can tell] something is wrong with them based on how they look,' a Chicago doctor told Daily Mail Online. Children born with any of the three trisomies - genetic mutations that cause there to be an extra copy or partial copy of a chromosome - often have distinct appearances. These disorders include Down syndrome, which is typified by a flattened face, smaller head and ears than normal and upward slanting eyes. Doctors also use the FLK to describe babies that don't have a clear diagnosis, but whose 'abnormal' appearance suggests that there may be something wrong with them. Not to be confused with the dance style, doctors use 'crumping' when they have a patient that is 'crashing, but not aggressively,' the Chicago doctor told Daily Mail Online. The phrase is synonymous to 'circling the drain.' Rather than their organs suddenly failing - or crashing - these patients are deteriorating quickly, and often don't have much chance for survival. Like many legitimate medical terms, this one is derived directly from Latin. 'Dolores' translates to pain so this 'literally means total body pain,' the doctor says. Although 'doloroes' means pain in Latin, a rather medical language, it means the same thing in Spanish, as well as being a woman' name. This all adds up to maximize confusion for patients. A patient earns the title 'status dramaticus' when they are a '10/10 [for pain] always, although they look fine,' the Chicago doctor says. 'This is someone that wails shrieks, howls so loudly you can hear them from the hallways. Everything hurts and they make sure you know about it,' he says. The acronym for 'wealthy white woman syndrom ' is 'actually bad because it's a term that is used when you're frustrated at specific patients and dismissing their symptoms,' says Dr Lisa Wang, a psychiatry resident in New York. Research has documented that physicians are more likely to take women's pain less seriously than they would a man's. There is a widely held belief - though studies turn up mixed results - that women's bodies are designed for childbirth and their pain thresholds are higher. A 2008 study from the National Institutes of Health also found that women wait 16 minutes longer to be seen in an emergency room than men do. 'As medical providers, on an unspoken level, I think [using these terms] is a coping mechanism, to make light of really difficult situations,' Dr Wang says. Discrimination against people of color and those for whom English is a second language is rampant, as evidenced by the terms 'hysterical Hispanic syndrome' and aye-aye-itis. 'I hear "aye-aye-itis" used for a Hispanic patient who has many somatic complaints, none of which are related to their surgery or main problem, usually accompanied by "aye, aye,"' the Chicago doctor says. 'Language barriers are a big discriminatory factor,' says Dr Green. 'There's an attitude of "oh, another patient that doesn't speak English, why don't they learn, it makes our lives so difficult,' says Dr Green, who has worked on initiatives to educate hospitals on language barriers and introduce interpreters. In one Harvard study, 20 percent of a group of 8,000 Latino people reported experiencing discrimination at a health care facility or clinic. 'A slug is someone who is reluctant to get up out of bed after surgery,' says the Chicago doctor. 'They tend to be slow, in pain, and want to stay "one more day longer, please,"' he says. On one hand, 'poor effort,' as he calls it, can have a negative impact on the quality and timeline for recovery, but there is a darker side to this tendency too. A hospital bed might be the safest and most certain place some patients can stay, especially for those who are not financially secure or may be struggling with addiction. 'When you have patients showing up drunk every single night, always overdosing, not taking their blood pressure medications and coming in because of it, it becomes easy to blame patients, though I don't think you should,' says one New York doctor. Dr Green says that 'a lot of it derives from [doctors'] systemic frustrations with the medical system back-firing back onto patients.'" 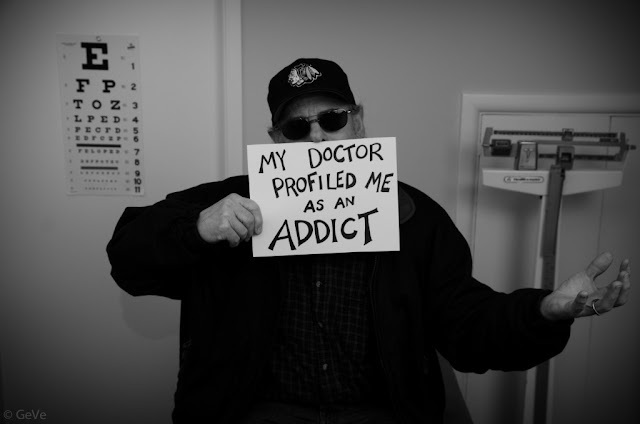 "Patient Profiling: Are You a Victim? Special shout out to Chriss for her help.